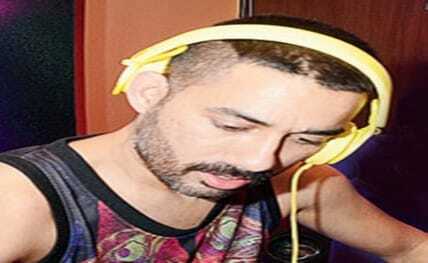 New Delhi, Sep 8 Popular for songs like "Akkad bakkad" and "Laung gawacha", DJ Nucleya, who mixes street style tunes with electronic music, says it’s not always necessary to have international acts to headline a music festival. Nucleya, whose real name is Udyan Sagar, has performed at various music festivals, including NH7 Weekender, Sunburn and Vh1 Supersonic. Do international artistes overshadow home-grown talent? "Yes, definitely. I just did a gig in NSCI (Mumbai). It was my gig…and it was my album launch. Around 15,000 people were there. So, I don’t think we need an international act to headline a festival all the time," Nucleya told IANS on the phone from Mumbai. The "Heer" hitmaker says musicians are making "incredible music right now". "Independent music is top notch at the moment. It’s only going to get better from now," says the DJ, who has also performed at various international music events, including the Glastonbury Festival and the Edinburgh Fringe Festival. Talking about mishaps which sometimes happen at music fests and gigs, he says: "It should be organised well. These things can be avoided very easily." The electronica artiste, who began his journey in the music industry towards the end of the 1990s when he co-founded the Bandish Projekt band, says the perception of people playing Bollywood music at festivals and gigs have changed. "At music festivals, I hardly see anybody playing Bollywood music. It definitely has changed quite a lot," says Nucleya, who has contributed to Bollywood films including the Rishi Kapoor-starrer "Kapoor & Sons", and doesn’t mind listening to Hindi film songs. "If I talk about my personal taste, I listen to everything. I listen to electronic and Bollywood music," says the DJ, who opened the show for Skrillex at the Vh1 Supersonic Arcade last year. The song "Let’s nacho", picturised on actors Sidharth Malhotra, Alia Bhatt and Fawad Khan, became an instant hit. So, does Nucleya wish to work on more Bollywood projects? "I am looking at projects which are interesting enough for me. It doesn’t need to be a Bollywood project. If there is a Bollywood project interesting enough for me, then I will definitlely do it," says Nucleya. Talking about the song from "Kapoor & Sons", he informed: "If you see ‘Let’s nacho’, it was based on a song I did earlier with Benny Dayal called ‘Tamil fever’. It’s a very different type of music. Thankfully and surprisingly, it worked." The musician feels that "this style of songs has appreciation and people do like it". "There is no harm in experimenting and trying new things," he adds.